This is the twenty-eighth post in my North Star November series….a soul centered discussion about depression. Each day this month, I’ll be sharing a piece of my soul’s journey, along with a free pattern to thank you for taking part in such an important conversation! Catch up by reading Day 27. Skip forward to Day 29. Today I’m going to talk about what I find to be the most rewarding part about depression and anxiety. I’m a firm believer in the fact that life gives us challenges and struggles when we’re being called to grow. We each have a natural energy leading towards certain paths in life. Anxiety and depression stem from a blockage of this energy. I’m really glad to have been on this journey for the past 18 months. Depression has not been fun and has challenged me in deeper ways than I once thought possible. However, it’s also led me down a new path and a soul centered healing journey that I would have never discovered otherwise. For a long time now, I’ve felt like something was missing from my life. Through following my energy (even when it’s felt REALLY scary! ), I’ve found a whole new world of spirituality. It’s a bit like being reborn! No matter what religion or spirituality you identify with, it’s important to find a sense of connection with the people and the nature around you. This is how we feed our soul. When I was in my darkest place, everything around me looked very alien. The people seemed like mysterious creatures I knew nothing about, and I felt no connection to nature. Now I realize on a very deep level, and with extreme amounts of faith, that we’re all connected. Whatever you believe about where we came from or how we got here, when your soul has been fed, there’s a deep sense of connection. So I encourage you to really consider your deeper beliefs and ways that you can support those. Finding a community of like-minded people and inviting them out for coffee one at a time is a great starting point. Have you been giving your soul loving attention? Do you consider yourself a spiritual being? What could you do this week to acknowledge some form of spirituality in your life? Wowzer I can’t believe we’re almost through the North Star series. I’m honestly going to miss our daily chats and the awesome energy this conversation has been creating. I’ve been putting a lot of thought into ways I can keep sharing this element of personal growth and support (for both you and I!) and I have some fun plans for the future here on the blog….I hope those of you who have been checking in here regularly throughout the month will continue to follow along! Without further ado, though, today’s free pattern is my crochet owl hat pattern. 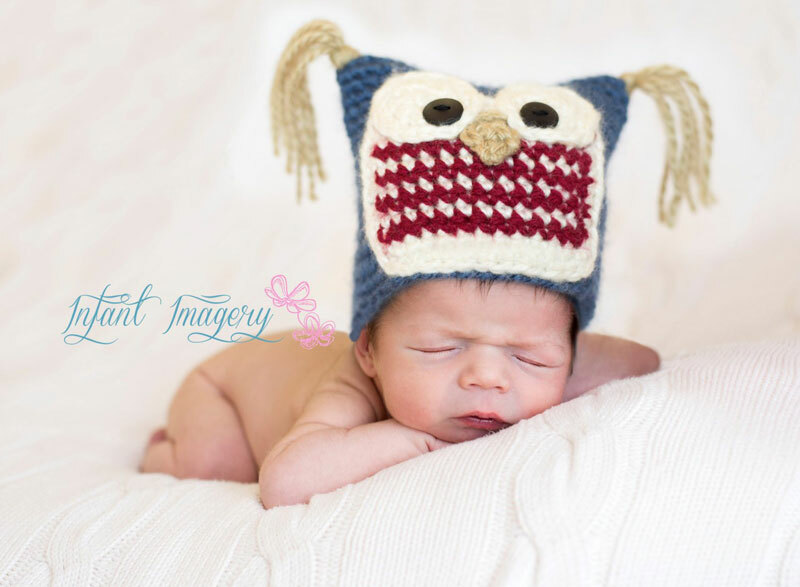 This free baby owl hat crochet pattern features sizes Newborn through 1-2 Years. It’s a simple project to work up with super cute results, making it an excellent baby shower gift or something quick to work up for cold winter months. Join in the round by slip stitching the first and last chains together. Place stitch marker. Continue to SC each round until your piece measures approx. 5 inches (12.75cm) from the starting edge. Turn your hat inside out. Line up the first 20 sts with the last 20 sts in the round (by folding your work flat) and SC across, inserting your hook through the 2 sts at once so you create a finished straight edge across the top of the hat. Cut yarn with an approx. 7 inch yarn tail. Use your yarn or tapestry to weave in all ends. Cut 10, 10 inch (25.5cm) pieces of color 2 yarn (or whichever you’d like for the tassles) and use your yarn needle to pull them through the corners of your hat. Repeat rows 1&2 until your piece measures approx.. 2.5” (6.25cm) from the starting edge. Cut yarn and weave in all ends. Cut yarn and weave in ends. Tie a knot and weave in ends. Repeat for second eye. Place eyes slightly overlapping the nose onto your hat. Sew a button in the middle of each eye. Continue to SC each round until your piece measures approx. 5.5 inches (14cm) from the starting edge. Turn your hat inside out. Line up the first 21 sts with the last 21 sts in the round (by folding your work flat) and SC across, inserting your hook through the 2 sts at once so you create a finished straight edge across the top of the hat. Repeat rows 1&2 until your piece measures approx.. 3” (7.75cm) from the starting edge. Cut yarn and weave in all ends. Continue to SC each round until your piece measures approx. 6 inches (15.25cm) from the starting edge. Turn your hat inside out. Line up the first 23 sts with the last 23 sts in the round (by folding your work flat) and SC across, inserting your hook through the 2 sts at once so you create a finished straight edge across the top of the hat. Repeat rows 1&2 until your piece measures approx. 3.5” (9cm) from the starting edge. Cut yarn and weave in all ends. Continue to SC each round until your piece measures approx. 6.5 inches (16.5cm) from the starting edge. Turn your hat inside out. Line up the first 24 sts with the last 24 sts in the round (by folding your work flat) and SC across, inserting your hook through the 2 sts at once so you create a finished straight edge across the top of the hat. Repeat rows 1&2 until your piece measures approx. 4” (10.25cm) from the starting edge. Cut yarn and weave in all ends. Continue to SC each round until your piece measures approx. 7 inches (17.75cm) from the starting edge. Turn your hat inside out. Line up the first 26 sts with the last 26 sts in the round (by folding your work flat) and SC across, inserting your hook through the 2 sts at once so you create a finished straight edge across the top of the hat. Repeat rows 1&2 until your piece measures approx. 4.5” (11.5cm) from the starting edge. Cut yarn and weave in all ends. Religious…no. I have little belief in Man-Created beliefs. Nature is where I turn when I am really down. Sun, Wind, Dirt, Trees, Animals. I also am a spiritual being. And I know that my Creator is always caring for me. Especially when I feel lost or depressed and I don’t feel anything. It is nice to know I’m not the only one in this place in life. The only thing I am absolutely sure of is that when this life ends I will still be loved and embraced by my Creator. What a wonderful thing to feel certainty on! Love your comment – thanks for sharing! Religion and spirituality are different. In my experience religion separates people into a definition of rules. Some individuals need to be around like minded people. It gives them security. Spiritually, for me, is a personal journey. We are all connected to each other and nature; I guess Dharma might be one way of defining the “reality“ around and in us. Do no harm, love. Invision whirled peas. (LOL). And yes be joyful and laugh. I have noticed that the more time I spend reflecting on life, the closer I get to my God. I have become more active in charity giving and trying ti live a Christian life. Yes! Definitely the more I reflect on life the more connected I feel. It takes making space for that self care and reflection though. So interesting! I’ve always been a spiritual person. One thing that got me through my childhood was the firm belief that “someday things will be better”. I was gifted with an understanding of my situation well beyond my years (I consider it grace) that helped me cope. In counseling, I furthered my spiritual path and realized we are all here for a reason and are valuable. Going what I’ve gone through has made me a more compassionate, understanding, loving person. We can learn from all situations, both good and bad. Absolutely! Finding the benefit in a bad situation can sometimes be hard….but there are good sides even to depression. Thanks for sharing! My soul is filled with loving attention like a rainbow upon a rainy day! I feel I’m spiritual, Angel helpers are always about! To acknowledge spirituality in my life I could actually use it to take on a higher paying job due to I’m more then some nasty persons think! How cool would that be? Tap into your spirituality to remind yourself of all potentials and attract the perfect job. I think it sounds like a great plan! I am very spiritual without it I’d be lost more than I am. Depression & anxiety has long plagued me. A lit has changed in my life this past and is still changing. At this point in life I always thought I’d have peace yet I’ve found not much peace. Trying to stay strong is harder than ever. Trying to stay positive and remind myself that this to shall pass. Although at some moments I fibd it harder to remember. Self love is so important,reminding yourself that you have a purpose it just might not be known at the moment. Thank you for helping me remember that. 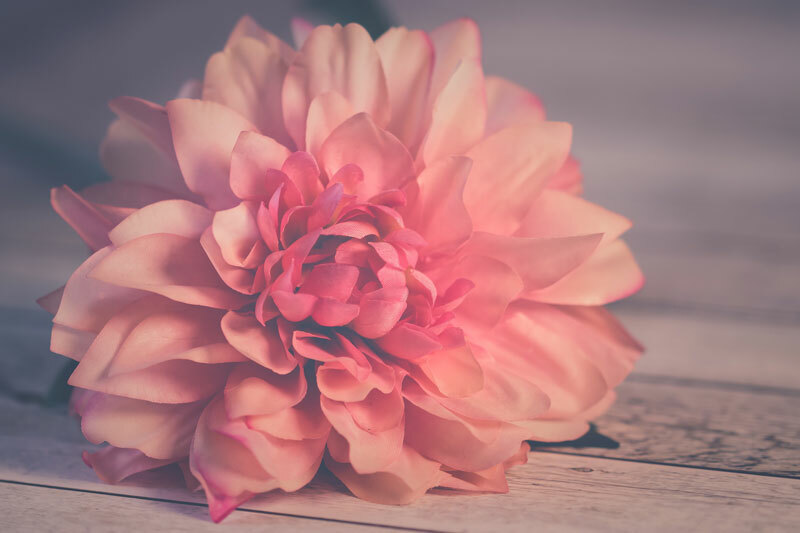 Having faith that all will work out the way it should is terrible hard for some reason…but generally when we lean on that faith, things start to line up….thank you for your comment – I’m really glad that you’ve been following along and enjoying. Exactly! Love this comment – thank you so much for sharing. I think depression is often our body (or the divinity that lives inside!) telling us to shut up and listen. That’s what I’ve been noticing anyways. Melody, what a brave person you are to share your path. Many of us struggle with depression. Most of us feel alone and lost. You are a so kind to share the struggles and the hope. I find you an inspiration. Thank you Pam. That really means the world to me! Love and hugs to you! I do consider myself a spiritual person. I have a firm belief in the God of creation, I read His Word and have a relationship with Him – Father God, Jesus God & Holy Spirit God. I pray to the Father , through the name of Jesus by the power of the Holy Spirit. Awesome! Hugs back to you as well. It’s inspiring to see such solid faith! I can sympathize with your depression. I had a bad attack many years ago. The medicine to help me did not kick in for a few weeks, so to keep my mind off of my problems I knitted and crocheted afghans. They were long term projects and really helped me get through the days. I had attacks of anxiety, also. I am 86 now and I still take the medicine for both. From early in my life I have gone to church. I have been to several denominations and received good help. I pray every night for my children and my husband. Thanks for sharing! So glad you’re in a good place now. It’s amazing how knit and crochet can help us through those rough times. Decades ago, I learned how to hide my depression from others, and still do it. However, in so learning how to hide it, I also learned I could feel it in others almost instantly upon meeting them. In helping others, I am helping myself too. I was raised Baptist, but have always felt at my best, or helped make myself feel better, by connecting directly with nature .. bare feet against un-man-altered ground, regardless the season, weather, locale. The solitude of nothingness, yet everything, all filling my senses; oneness with the universe, but not loneliness. It has been this connection of Spirituality, if you wish, that has helped get me through the worst times, more than once. This comment resonates with me soooo much. Thanks for sharing! Bare feet to the earth and spirituality in nature is what it’s all turning into for me! On days I’m at my lowest. it seems I’ve forgotten whose I am. I need to remember to reach out to the One who gives me strength and ask for the help and centering only He can give. When I consciously return control to Him, I find release and calm. Sometimes it takes a little longer than other times, but it always comes. I also find comfort in my work (with animals) and in my crafting (mostly crochet). Prayer is both a comfort and a release. I can talk to God about anything at all without fear of insulting criticism, or haughtiness. I just need to remember my source of strength, always available. I know this feeling! 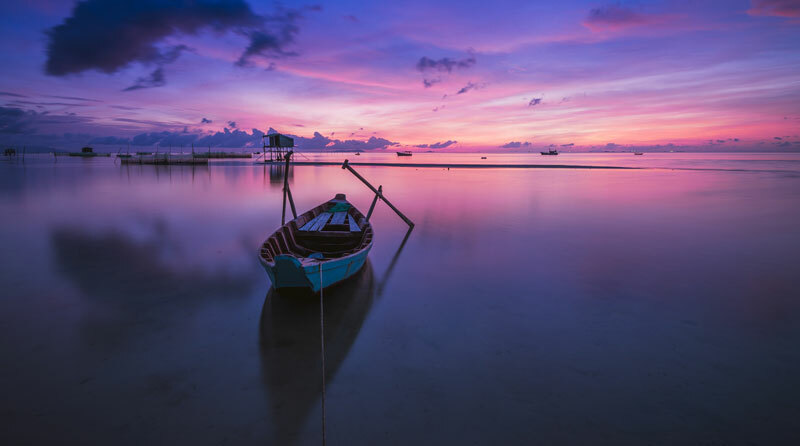 It’s like having no emotional memory….when you crash down that hard, it’s terribly hard to remember other states of mind and the tools and things to connect with which help bring us back up. Thanks for sharing! Always nice to know I’m not alone in that. Many years ago my life changed,my 17year marriage had ended, my 15 year old daughter and I had to move out of our home ..So basically everything changed,wasn’t sure at the time how good or bad it would be..
Over time my daughter and I became very close ,(she was always close to her dad you see).. I started talking with new friends that could relate to me and how I was feeling .. I had a couple of close friends who helped me through the hard times .. In that time I found me again ,I started to love me again and that I wasn’t going to accept anything that I didn’t want .. No-one was going to take me down again.. There were a few hiccups along the way,my health being one of them and getting married for the 2nd time,biggest mistake I had ever made .. My Nan (grandma) passed away around that time too ,I was up in the air with everything .. Anyway I got out of that marriage ,I knew it wasn’t right and said out loud enough was enough I’m not doing this relationship thing anymore .. Well someone had other plans as a few days after saying that I met my now husband, we have been together 11 years and married 10 of those years .. So to say am I spiritual,I would say yes.. I found new meaning in life and with everything around me too..
What an amazing story. It’s interesting how as soon as you put your foot down and decided to take care of yourself first and foremost your how husband came into your life. Great syncronicity 🙂 Thanks for sharing! Thank you for sharing your journey with us. I haven’t followed every day, but I have enjoyed the moments I have connected. I haven’t had major depression, but family members have, and several years ago I went through a year of Breast Cancer treatments. (I am nine years out and doing great.) I have a strong belief and faith in a loving Heavenly Father, and his son, Jesus Christ. It is that faith and love and support of so many family and friends that helped me through my struggles. I feel that as we unite, share, and lift each other, our own love, and faith strengthens. Thanks for allowing us to come together. Couldn’t agree more! Thanks for following along when you can, and for sharing this comment. Love it. After I completed my therapy for my postpartum depression, I went back to religion. I felt like something was missing and my soul took me in the right direction to fill it up again. It’s been amazing to have that sort of a connection with people again. I feel like religion has really helped me a lot. Wow it was so uplifting to read your post and also the comments here. I’ve suffered with depression and anxiety for as long as I can remember. I have many ups and downs. I always try and focus on the good things and feel that someone or something is watching me from above and looking after me and making sure I’m on the right path. I have a strong belief that my children are here to help me through this incredible journey. I feel a special bond with my youngest child who is 14 years younger than my middle child. I felt from the day that I became pregnant that she was given to me to be my “angel in my pocket” as I call her. Never met anyone like her and she is so very thoughtful and caring. She’s always by my side to lift me up. I’m glad to know I’m not the only one who has suffered with depression because it sure feels that way sometimes. You definitely aren’t alone! I love the connection you have with your little one…so precious. Thank you so much for sharing this comment, and I hope you’ll continue to check out the blog.